In recognition of DSA’s efforts to improve the lives of men and women in need, Seattle’s Millionair Club Charity presented its 2018 Employment Excellence Award to DSA and the Metropolitan Improvement District earlier this month. The award recognizes DSA’s commitment to the Jobs Connect program, which matches people experiencing homelessness with employment and job training. 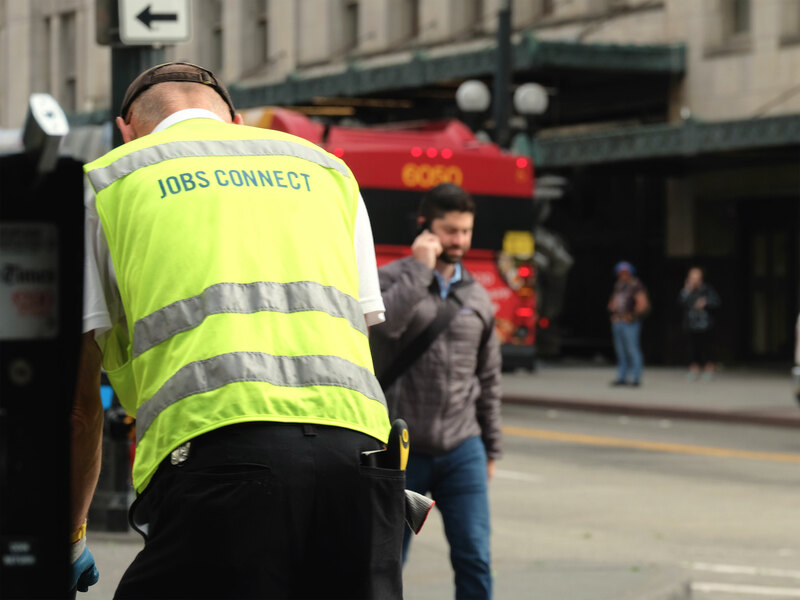 Jobs Connect, launched in 2016, is a partnership between DSA, United Way of King County, the Millionair Club Charity and City of Seattle. Over 200 individuals have participated in Jobs Connect since its inception with DSA as an anchor employer. Seventy-three participants have been subsequently hired as downtown ambassadors and 18 are currently employed. To date, participants in the program have worked 10,436 hours keeping downtown clean and safe. One of those individuals is Justin Butler, a MID-funded Safety Team ambassador who was originally hired as a Clean Team ambassador.